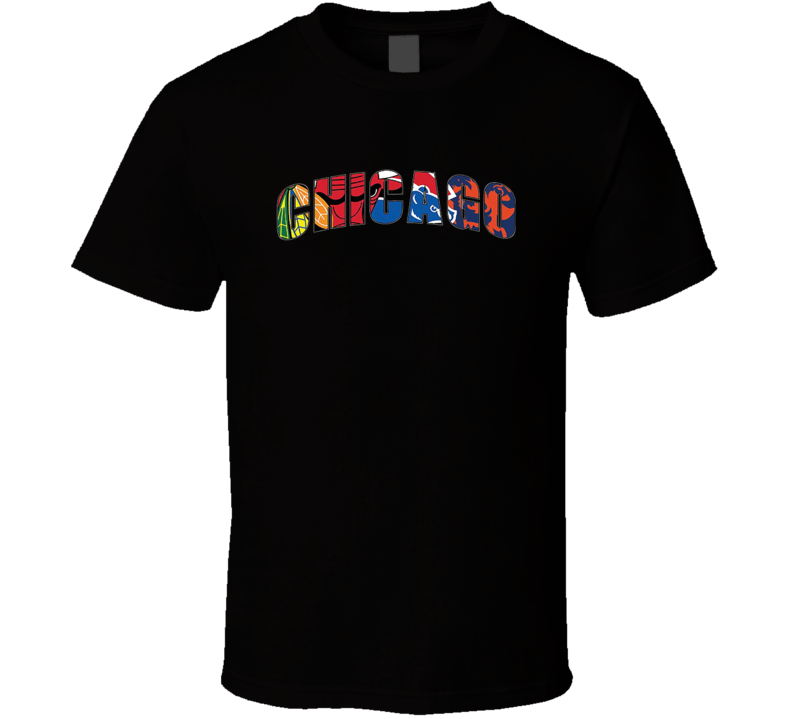 Order your very own Chicago Sports Teams Novelty T-Shirt Cubs Bulls Bears Blackhawks Gift Tee. It won’t be around forever so buy yours here today! Shop our huge selection of high quality, graphic apparel. Each design is offered on a variety of sizes and styles including; t shirts, hoodies, aprons and even baby one-pieces! This product is pre-treated to ensure quality and longevity of the graphic. We will reasonably work with you regarding refunds and returns of merchandise within 30 days of purchase. We will not, however, accept a return on merchandise that was previously washed, worn, damaged after purchase, missing original tags, or for buyer's remorse. You Must get authorization prior to returning an item. The customer is responsible for shipping charges when sending merchandise back to us unless there was an obvious defect in craftsmanship in which case we will work with you to replace the item or refund the item. Orders may be cancelled prior to being printed.